Welcome to the latest newsletter from Just Sheepskin and Silverbean. Relax this bank holiday weekend with Just Sheepskin slippers. Don't forget Just Sheepskin offer free UK delivery and returns. In Association with Just Sheepskin's Exclusive Affiliate Partners Agency. OKA - Free Delivery this Bank Holiday Weekend! OKA are pleased to announce they are offering free standard UK delivery on all orders. This offer is starting Friday 24th August and running until midnight Monday 27th August 2018. Simply use code FREEDEL818 at the checkout to redeem the offer. Commission: 6% for new customers. 3% for existing customers. 2% for existing cashback customers. BIG Brands, BIG Blockbuster prices, BIG Bank Holiday Celebrations! Join our un-missable summer Bank Holiday event, where we’ll see off the sun in style with huge savings! From 12pm Wednesday 22nd August until Monday 27th August at 11:59pm customers can take advantage of our blockbuster savings across Home, Beauty, Garden & more with deals on big name brands including NoNo Pro, Dormeo, Wagner and many more. Plus 1 lucky customer will win a 2 night coastal escape for 2 & £300 spending money, with a choice of over fifty hotels - courtesy of Ideal World. Take advantage of this event and earn 6% commission for new customers on any sales generated, as well as 4% for existing and 3% for existing cashback customers. 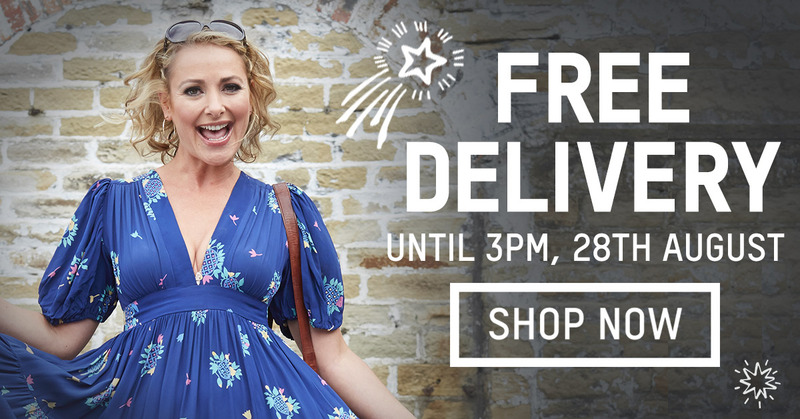 Free delivery at the Oxfam Online shop from the 24th-28th August 2018! Discover over 100,000 unique pre-loved, new and vintage items in our online shop. Auto applies at checkout, no code required. 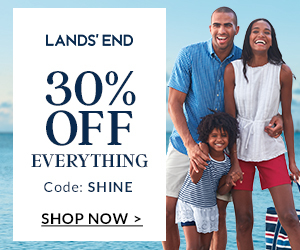 LANDS' END | Here's 30% off everything – ENJOY! Long weekend deal: 30% off EVERYTHING! During checkout enter the code SHINE in the ‘Add a promotion' field on the ‘View shopping bag' page..
30% discount applies to Lands' End online items only. 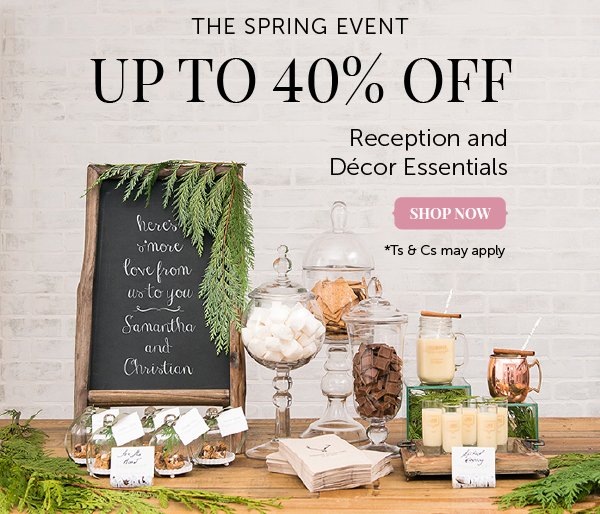 Offer excludes delivery charges and Lands' End services such as monogramming or gift boxing. Orders must be placed before 11:59pm on Sunday 27th May 2018. Discounts will only be applied where the code SHINE is entered correctly. Not to be used in conjunction with any other offer. Cannot be redeemed against any items previously ordered or purchased from Lands' End. 30% off will be applied pro-rata across all discounted items in your basket (for example, if you buy 2 items worth £10 each, you will be discounted £3 on each item). Dwell's Bank Holiday Promotion is now live and features up to 50% off Cool Stylish Living to update the home. As this is the busiest time for home retail sales, we are rewarding our affiliates with +3% commission until 15th June. This means affiliates will get 13% on new customer purchases and 8% on existing customer purchases in return for great content promoting dwell. 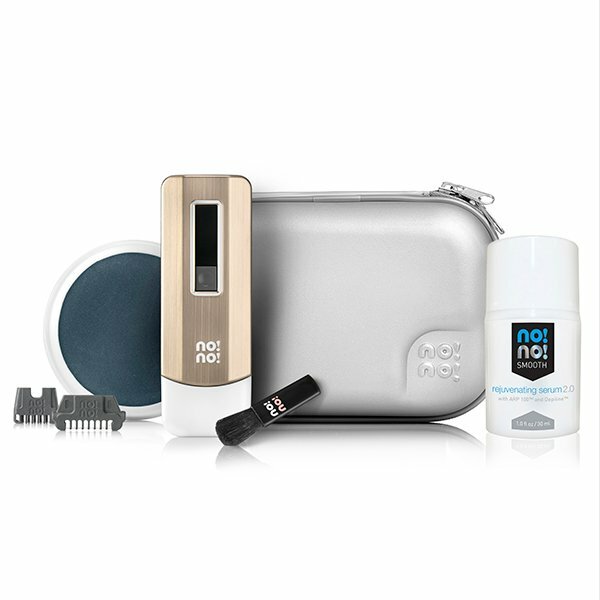 The +3% rate means there is a chance to earn some great commission this month, especially on our higher priced products. If you have any ideas on how you would like to promote dwell through your site then please contact either Rachel or Bethan. A suite of Temple Spa banners for this promotion is available now in My Creative. Luxury Skincare Inspired by the Mediterranean - Free Delivery and a Free Cool Bag when you spend over £75. Help for Heroes Bank Holiday Bonanza - 20% off everything! This late May bank holiday, give customers the opportunity to get 20% off everything in our online store. This includes new lines, our classic range, and accessories. This is a brilliant chance for customers to get a discount on whatever they might want from our store. Enter the code MAYHOL13 at checkout. Offer ends on Tuesday 29 May 2018. I'd like to let you know about jewellery promotions we have coming up, giving you a great opportunity to earn 12.5% commission on all validated sales. 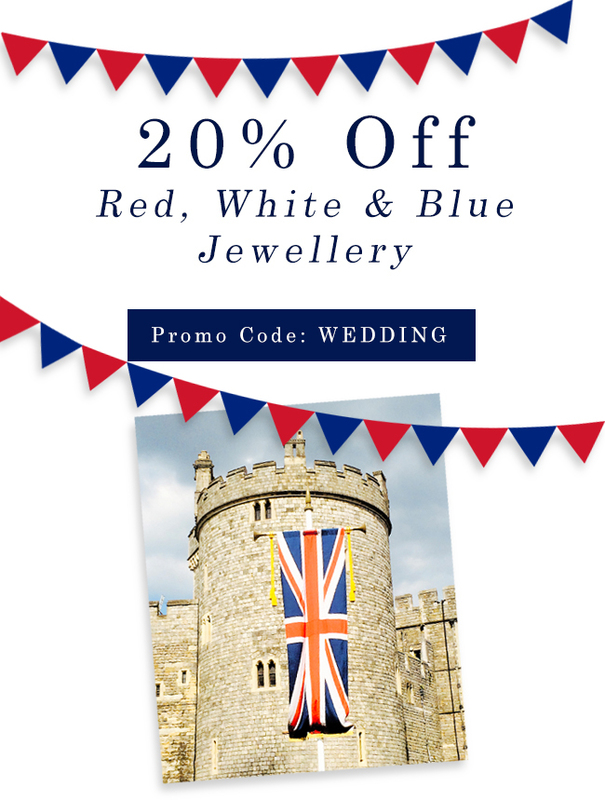 In celebration of the Royal Wedding, for one day only we are offering customers 20% off all red, white and blue gemstone jewellery with the promotional code WEDDING at www.gemondo.com. This includes a beautiful selection of genuine gemstone jewellery including rubies, garnets, diamonds, sapphires, aquamarine, turquoise and more. This offer begins on the 19th May 2018 at 00.01am and must end on the 19th May 2018 at 23.59pm. Terms apply. Bejewel yourself this bank holiday! With the promotional code BH2018 customers can enjoy 20% off their entire purchase at www.gemondo.com. This offer begins on the 25th May 2018 at 00.01am and must end on the 28th May 2018 at 23.59pm. Terms apply. Free UK delivery and returns via Royal Mail. Voucher codes are only valid on purchases made at www.gemondo.com and cannot be used in conjunction with any other offers. Cannot be exchanged for cash or equivalent. Gemondo reserve the right to discontinue voucher codes or offers at any time. Please see our full terms for more information. If you have any queries, require custom artwork, or for anything else, please don't hesitate to contact us. We also have another offer with a £30 saving off all orders over £300 until 31st May. This includes any standard or made to measure curtains, blinds, table linen, garden textiles, sushions, seat pads, furniture covers, furniture and more. With over 50k products on offer, Dekoria is a truly unique online destination for all home textiles and decor. We've got products for all the hottest trends of this season as well as our customers' all time favourites. Please note these offers cannot be combined or used in conjunction with any other discount code offers. 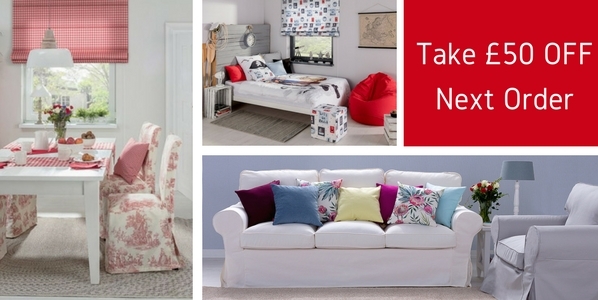 Our customers can make their homes stylish and comfy for less throughout May. New cushions are a fantastic and cost-efficient way to accessorise interiors in line with the latest trends (think florals, bright colours and Urban Jungle!) or create inviting and enjoyable outdoor spaces. 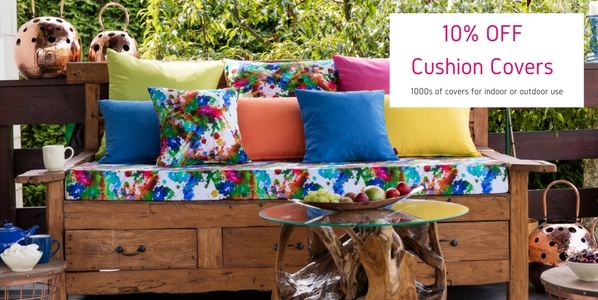 Dekoria offers thousands of cushion covers with matching inner cushions for beautiful and plump indoor and outdoor cushions. What's more, this promotion can be combined with a discount code offer above. RRP and reduced prices are shown on the website. 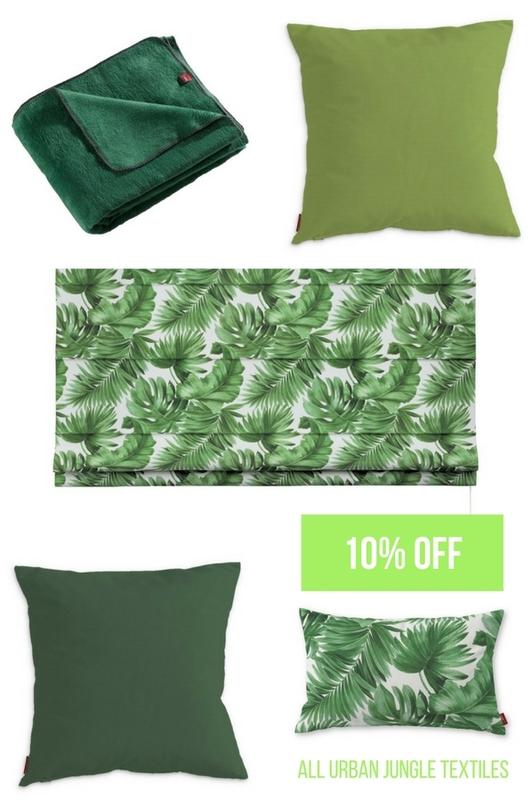 Click here to view cushion covers available with a discount. Enjoy our new offers and as usual please contact ali@dekoria.co.uk if you have any questions about our new codes or promotions. 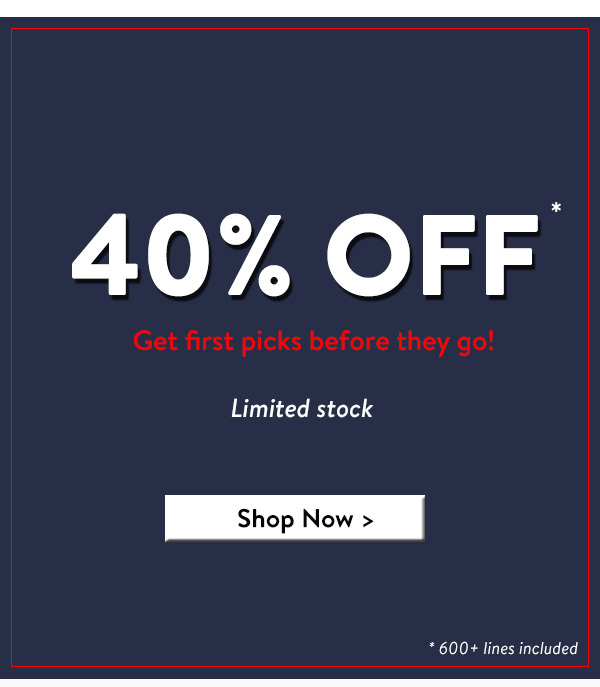 Bank Holiday Special - 40% OFF Hundreds Of Items - Limited Time Only!!! Bank Holiday Flash Maca Sale! If you have any questions about Maca, the promotion, or would like to join our affiliate programme please contact charlotte@vivolife.co.uk. Thanks and have a lovely bank holiday! This bank holiday we are giving £5 off all polo shirts in our store. It's a great time to pick up a polo shirt as summer approaches. This deal makes the most of the bank holiday and gives customers even more savings across high quality and popular products. All the profits from the Help for Heroes Trading company are gifted to the Help for Heroes Charity to help provide as much support for the wounded, injured, and sick as possible. Your purchase helps to rebuild the lives of those with injuries and illnesses sustained while serving in the British Armed Forces. No matter when someone served, we give them the support they need to lead active, independent and fulfilling lives. We provide support for the whole family to help them all cope with the challenges they face. Long-term recovery is more than repairing damaged bodies and minds; it’s about rebuilding lives. This bank holiday weekend we are giving up to 50% off selected lines in our store! Featuring new lines and some of our best-selling clothing, this egg-stravaganza allows customers to save even more on their favourite products. Also, we've continued the added benefit of Free UK P&P. I'd like to let you know about a wonderful jewellery promotion we have coming up, giving you a great opportunity to earn 12.5% commission on all validated sales. With the promotional code BANKHOLS customers can enjoy 20% off their purchase at www.gemondo.com. This offer begins on the 30th March 00.01am and must end on the 2nd April at 23.59pm. Terms apply. There’s nothing quite like the atmosphere and aroma of a delicious barbecued meal. Why not take advantage of this Bank Holiday offer, while the weather is heating up! Whiles stocks last! Plus you get a fantastic 5% commission on all sales. Save 10% on Spafinder this Bank Holiday PayDay! Payday and Bank Holiday - a perfect combination! Save £5 in our Bank Holiday Bonanza! We're knocking a fiver off t-shirts and tops for men and women including classic and new season designs. Polo shirts are in the offer too, with bold stripes and contrast collars in the most popular colours. The Bank Holiday Bonanza discount is only on selected lines and available for a limited time only. The offer runs from Friday 26 May to Monday 29 May. Dear affiliates, Our SALE is now on!!! 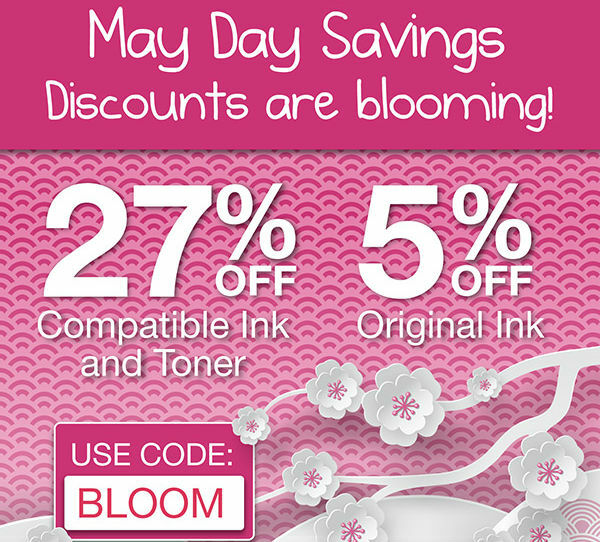 Your customers can enjoy great discounts this Bank Holiday weekend on our Decor and Reception Essentials. We have great discounts off our shop this Easter weekend with discounts of up to 40% off. If any additional banner sizes are needed please send me a request. Please see below some selected fixtures from The Jockey Club upcoming fixture list. Following on from the success of last year, BBC Radio One DJ and TV host, Scott Mills will kick off the TENsational series again with an upbeat party set in the Paddock after racing. Get your Spring season off to a fantastic start and immerse yourself in a day full of quality racing, entertainment and music. Choose your ideal way to spend the day, whether it’s taking in the lively atmosphere of the Makerfield Lawn with music from Haydock’s house band, The Sound, or nestled within the County Enclosure overlooking the Finishing Post. TENsational has something for everyone! Expected to welcome a crowd of over 14,000 people this is a day of celebration and glory as we crown the champions of the 2016/2017 Jump season. Broadcast live on ITV Racing, this is a marquee event for Sandown Park which sees the leaders of the sport receiving their trophies for their triumphs. Every race counts leading up to this day and this is what everyone will be talking about as the Jump Season draws to a close. Gates open at 11.45am for a great day of action packed jump racing with FREE entertainment for the kids at Kempton Park Racecourse. We’re offering a fantastic afternoon of quality jump racing action. The first race is scheduled to go at 1.45pm and the last at 5.15pm. A huge crowd is expected to descend on England’s best small jumps track for the Carnival opener, where a raft of family focused entertainment and activities are planned. It’s the perfect event to bring along youngsters for an enjoyable, fun day out. The centre of the course is packed with activities for this popular Bank Holiday event. The star attraction this year will be Chase from Paw Patrol! The free kids entertainment includes fantastic horse racing, pony rides, bungee run, carnival slide, bouncy castle, horse simulator, sumo suits, total wipeout, face painting, magic, juggling, balloons, stilt walkers, a mascot race, plus appearances from Paw Patrols Chase at intervals throughout the day. If you need any assistance to help promote the above fixtures or any others, please get in touch. It’s not long now until the May Day bank holiday weekend! Our customers love our Free Delivery promotions and this time it's on their favourite product - Adnams Mini Casks and Kegs! Perfect for the May Bank Holiday weekends ahead we expect great sales and a chance for you to earn commission by promoting the offer to your users. Please state t&c's: *Free standard delivery (UK mainland only) applies to Adnams mini casks and kegs only ordered online before midnight 1st May 2017. Please note that if you add non-free delivery items to your basket and the order value is less than £60, then delivery will be charged.